Nashville, TN -- Sugar Hill Records is excited to announce that as part of Record Store Day 2012 we will be releasing three special titles in extremely limited quantities. We have dipped into our catalog to re-introduce two of the most time honored records on the label to the vinyl medium - Ricky Skaggs' and Tony Rice's Skaggs and Rice (1980) and Townes Van Zandt's At My Window (1987). Also being released is a special 7" from Americana eclectics Black Prairie (featuring members of the Decemberists) and special guests James Mercer and Sallie Ford. Record Store Day will be celebrated on April 12th, 2012. 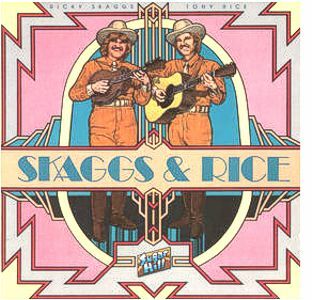 First released on Sugar Hill in 1980, Skaggs and Rice is widely considered to be one of the finest recordings of acoustic traditional music ever produced. The album presents two peerless masters of the genre performing classic duets with pristine harmonies and skilled instrumentation. Several songs on the record, including "Bury Me Beneath The Weeping Willow" and "Where The Soul of Man Never Dies" have earned consensus status among traditional music lovers as among the finest versions ever recorded. This reissue has been beautifully remastered from the original analog tapes. 1987's At My Window, by the late Americana songwriter Townes Van Zandt, celebrates its 25th Anniversary this year. The album continued the legacy of groundbreaking songwriting from cult icon Van Zandt. Though this was Townes' only studio album released during the 1980s, his talent for breathtaking songs and flawless delivery was still apparent on this beautifully crafted album. Standout tracks include the title track "At My Window" which contains some of Townes' most reflective and soul-bearing lyrics of any song in his catalog. A reflective and more mature Van Zandt is apparent in songs like "Buckskin Stallion Blues" and the somber but hopeful final track "The Catfish Song". The song "Snowin' On Raton" has been a favorite cover song of Country and Americana acts such as Robert Earl Keen, Pat Green, Emmylou Harris, and Ray Wylie Hubbard.